Want to support us but can't donate? You can help spread the word we have flyers you can give out and posters you can hang up in your area. There are two diffrent posters to choose from and one flyers. 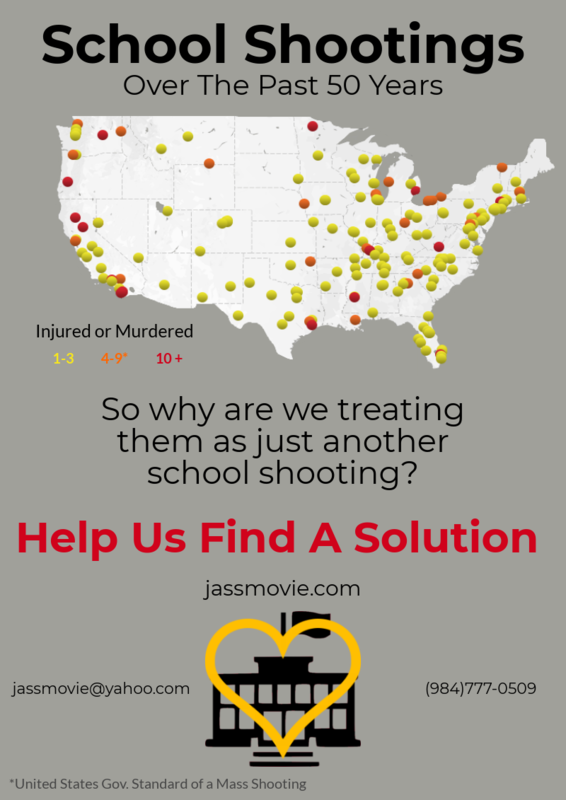 A serious poster showing a map of all the school shootings for the past 50 years. ​A flyer consisting of contact information, a summary of our project, and details on some of our affiliates. 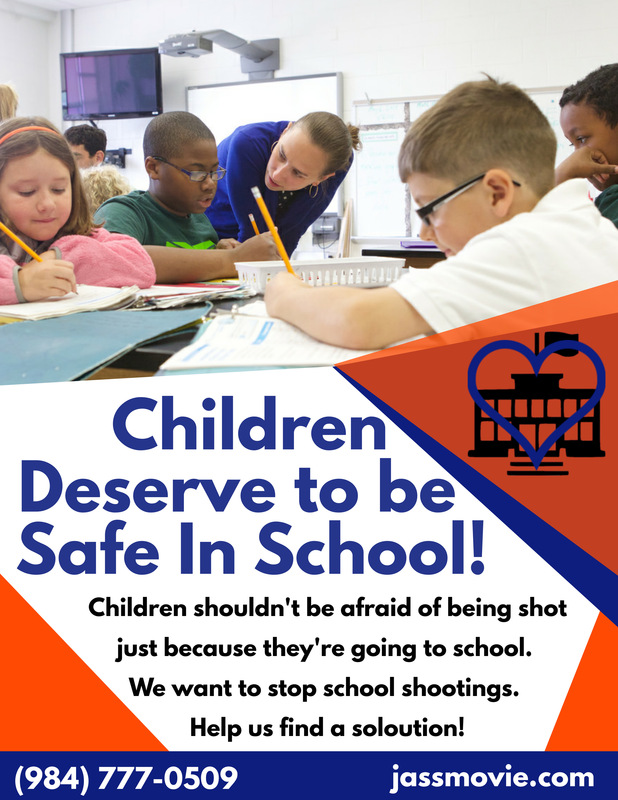 A more colorful, but still serious, poster simply stating that children deserve to be safe in school. Want to volunteer a service? If you'd like to help with marketing, advertising, narration, editing, graphic design, or any other skill you might have email us with a resume and some examples of your work if you have it. Please don’t worry about the quantity of your resume, quality is what matters and in the end all volunteers are welcome and appreciated.